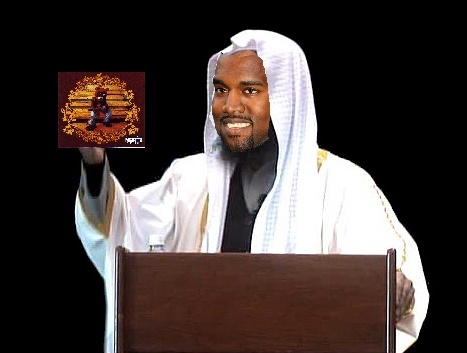 Los Angeles, CA (1:30 P.M. PST)– Congregants of the United Deen Mosque were reportedly surprised this afternoon after guest speaker Kanye West remained relatively docile and focused while delivering this Friday’s Sermon. The sermon was geared toward the youth, focusing mainly on the importance of fostering a spiritual connection with your peers, respecting your parents, and accurately selecting the best music video of all time. United Deen Mosque has announced plans to bring in Samuel L. Jackson for a sermon in the near future.